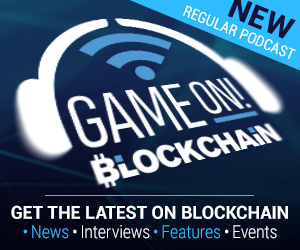 With blockchain games struggling to break out of their crypto-enthusiast niche, many now think 2019 will instead see the rise of games using blockchain. It’s a subtle but significance difference as the latter just requires developers to integrate individual features to a blockchain rather than attempting to run the entire experience on-chain. However, for games using blockchain to become an interesting proposition for developers, there needs to be some strong examples of the potential benefits. Not to forget plenty of support to help them overcome the technical hurdles. We’re looking to help mobile game developers drive engagement and build alternative monetization options. In that sense, it’s an all-or-nothing proposition. One company that’s positive it can fulfil such requirements for a large number of developers is Kik Interactive. Entering the blockchain space when the mobile messaging service launched its $100 million Kin ICO (and the Kin Foundation) in 2017, Kin is designed to be “the currency for digital world”, especially focused on a small peer-to-peer transactions – wagers or gifts etc – between mobile users. Already integrated into the Kik messenger, uptake was also encouraged by the Kin Developers Program, which accepted 40 social app startups last summer. Now its attention has moved to mobile games. 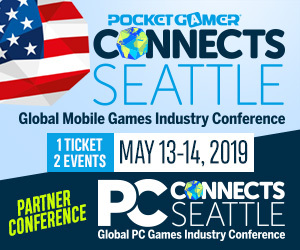 “We’re looking to help mobile game developers drive engagement and build alternative monetization options,” explains Sergio Silva, Kik’s director of partner success. More concretely, it’s just launched the Kin SDK for Unity (Android is live with iOS to come) on the Unity Asset Store. “We have a similar philosophy to Unity. We want to make it easy to solve hard problems by providing the right tools,” Silva explains. Later in the year, the two companies will work together over a developers program to support up-to 100 companies as they integrate Kin into their in-game economies. For developers, Silva says becoming part of the Kin ecosystem will give them more control over how they reward users, as well as making their mobile games more sticky and hence build stronger communities. For example, users could be rewarded with Kin for setting up and winning challenges or providing tips. Alliances could also pool their Kin to unlock community rewards. Over time, he suggests, tokenizing such activity could make it easier for developers to encourage users to play their other games, reducing marketing costs. Players don’t care it’s a cryptocurrency and with Kin they don’t know they’re on a blockchain. This will be further encouraged with the release of the Kin Reward Engine later in 2019, which will enable the cryptocurrency to be used by advertisers and brands to drive engagement, with developers and users sharing these new revenue streams. “Over time, we’ll look at the trends and then productivize them as new modules within the SDK,” Silva says. And with user experience one of the biggest obstacles for blockchain adoption, he also argues a service such as Kin (which is based on the Stellar blockchain) will remove many of the friction points. “Players don’t care it’s a cryptocurrency and with Kin they don’t know they’re on a blockchain,” he explains. You can read more about Kin’s vision for mobile games via Medium, and check out the Kin SDK on the Unity Asset Store here.